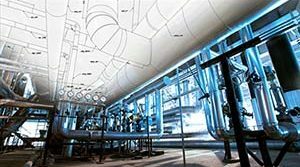 4" Pig Launchers and Receivers for a Water Reclamation Plant | Piping Technology & Products, Inc.
Sweco Fab, Inc. manufactured 4″ pig launchers and receivers for a water reclamation plant in Savage, Maryland. These launchers and receivers are to aid in the utilization of an oxidation ditch activated sludge process designed for nitrification / de-nitrification and phosphorous removal. 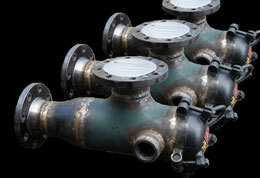 The design consists of components such as T-bolt closures, side outlet tees and 4″, 150-psi flanges with protectors. After being built to ASME, Sect. VIII, Div. 1, the launchers and receivers were shop prime painted to prevent against corrosion. 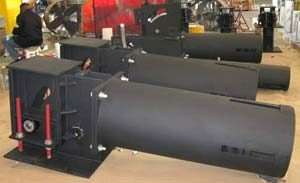 Need pig launchers and/or receivers? Request a quote today!